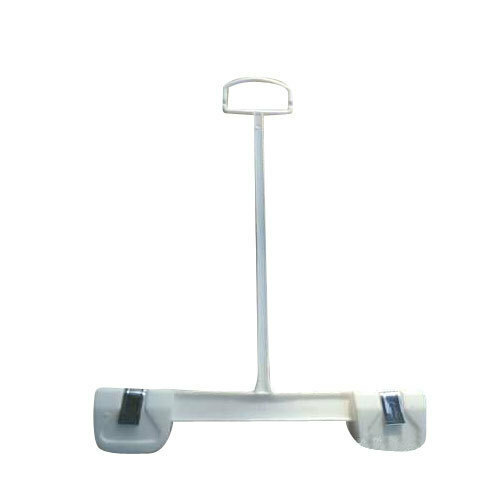 Size (4" drop) - 8", 10", (9" drop) - 8", 10"
In order to keep pace with never ending demands of clients, our company offers Connaitre Bottom Hanger. Established in the year 2008, “KVR Plashtics” is competing with the other competitors by the support of highly skilled panel of professionals. Our corporation is a Sole Proprietorship (Individual) based entity, headquartered at Ponnapuram Road, Tiruppur, Tamil Nadu, persistently handling its occupation as an efficient manufacturer and exporter of this industry. The assortment of products we deliver to our clientele comprises of Plastic Hanger, Coat Hanger, Garment Hanger, Bottom Hanger, PVC Bag and Hanger Bag. With the peerless support of state-of-the-art manufacturing base and hard-working team of professionals, we are able to accomplish frequent mounting requirements of the market.